Many thanks to all of our customers and fellow #motherofdragonettes as well as #fatherofdragonettes. Because of you, DRAGONETTE by LA MUSE KALLIOPE enjoyed another successful Holiday Season of growth and much love from loyal customers and DRAGONETTE Admirers. 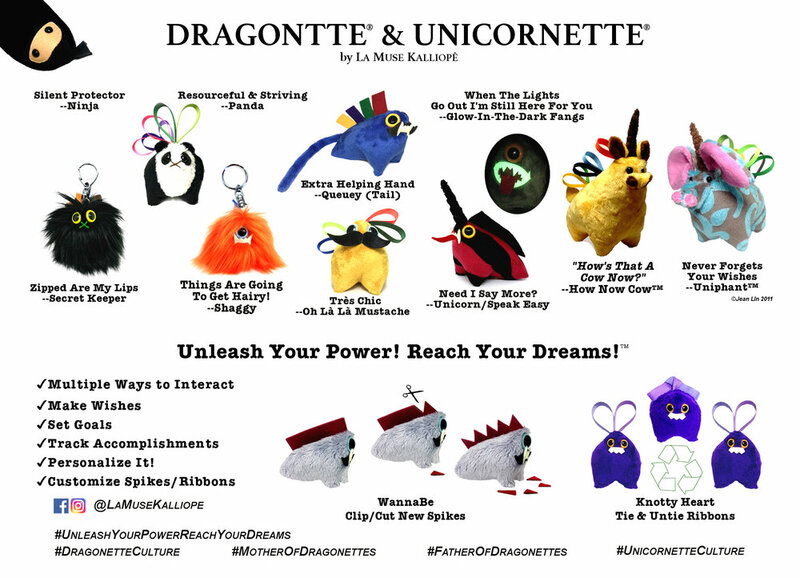 As many of you know, the DRAGONETTE are in very limited editions and most are one-offs. Also, every year we are coming up with new designs. If there’s a certain DRAGONETTE you have seen at our popup boutique at the Union Square Holiday Market you don’t see here (90% possible), it’s likely you can still order. Just fill out this form and we will work our hardest to make it for you. You can also use this form to say ‘Hello’ or share with us your DRAGONETTE Story or Adventures. You’ll see a few of our DRAGONETTE in action this Holiday Season on Instagram @LaMuseKalliope and let us know which one you’d like. We’d love for you to share your DRAGONETTE Story with the rest of the World on IG and FB and and tag us.